Equipped with Rechargeable Battery Pack & Charger. 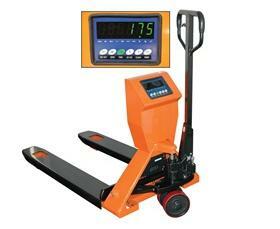 Fast, efficient 4500 lb. weighing capacity. Features 1-1/4"H. LED digital display. The all in one Pallet Truck with Scale allows product to be weighed while being moved to storage or to the production line service. Scale has 1 lb. resolution with maximum error of /-.2% of applied load. 4,500 lb. weighing capacity. LB/KG toggle switch and push button tare. English nomenclature on the indicator face. Lowered height of 2.9" makes for easy pallet entry. Raised height is 7.6". Equipped with rechargeable battery pack for a 35 hour continuous operation on a single charge. 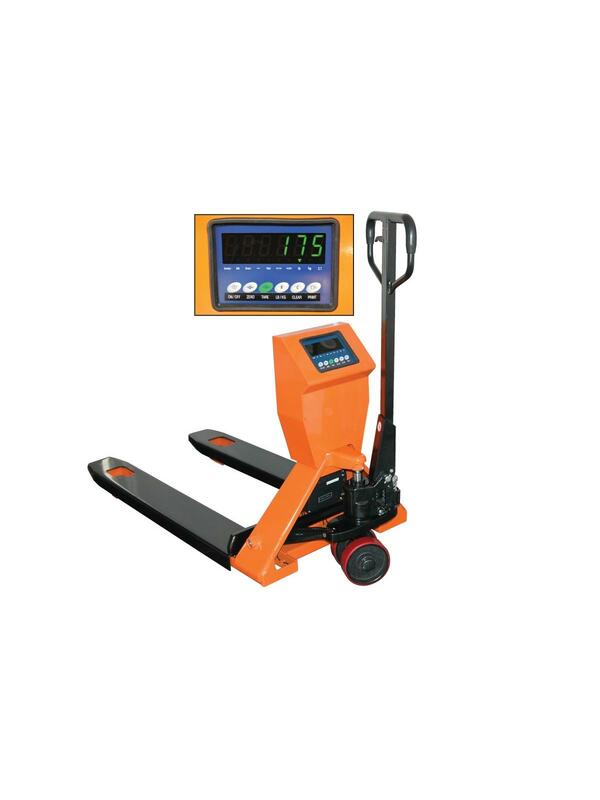 Portable Electronic Scale Operations include verify incoming and out going freight, batching by weight, drum filling, and inventory control. This is an all purpose mobile scale. FOB Shipping Point.